Every injury should be taken seriously, but especially those to the spinal cord. Unlike other parts of the body, a spinal cord cannot repair itself after it has been damaged. A spinal cord injury is usually caused by some sort of physical impact or trauma to the area, but it can also be caused by infections or tumors. Regardless of the cause of the spinal cord damage, these injuries can greatly affect your quality of life. There are two types of spinal cord injuries you may suffer from: incomplete and complete. Complete injuries occur when the spinal cord is compressed or severed, which eliminates the brain’s ability to send signals anywhere below the injury. Incomplete injuries occur when the spinal cord is only partially compressed or severed, so the brain can still send signals below the injury. Complete injuries result in partial or total paralysis, depending on the location of the spinal cord injury, whereas victims of incomplete spinal cord injuries may retain some movement and function. If you or someone you love is involved in an accident and may have suffered a spinal cord injury, it is imperative to stay still and seek immediate medical attention immediately. Any little movement of the body could worsen the injury, which is why emergency medical personnel put victims on a backboard or in a cervical collar to keep them motionless. In general, it has been found that the quicker you receive treatment, the better your chances are of recovering. Recovery and treatment methods will differ greatly from person to person depending on the location of the injury, overall health, quality of medical care, and your commitment to your recovery. Victims will often have to spend months in physical therapy, which can be challenging and painful at times. But, even if you are lucky enough to recover from this incredibly dangerous injury, the medical expenses can quickly pile up. Treating a spinal cord injury is not cheap and may involve lengthy hospital stays, months of physical rehabilitation, surgery, and the purchase of equipment such as a wheelchair. If you have been injured, you need to speak with an attorney to discuss whether you are entitled to compensation for your expenses and pain and suffering. If your spinal cord injury was caused by someone else’s negligence, it is imperative that you speak with a personal injury attorney as soon as possible. An attorney can help you receive compensation to cover your medical expenses, current and future lost wages, and pain and suffering. 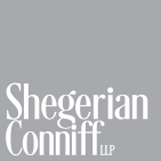 Contact the team of personal injury attorneys at Shegerian Conniff. Our attorneys will review your case to determine who is liable for your injuries, and then help you fight for the justice you deserve. Don’t trust just any personal injury lawyer who won’t get adequate compensation for your injuries. 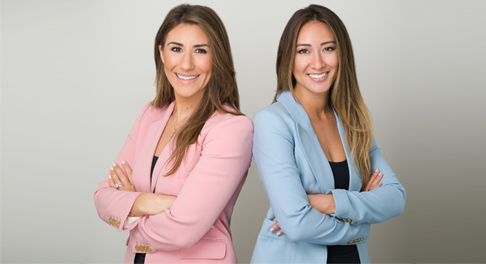 Call the experienced and knowledgeable team at Shegerian Conniff today to schedule your legal consultation.